Stationed on the west coast of Taketomi Island, Kondoi Beach offers travelers unlimited access to vast turquoise waters and perfect white sandy shores. Kondoi is home to some of the best snorkeling in the area, too—but visitors say it all comes at a price. Travelers looking to unwind on the shores of Kondoi should be ready to shell out 1500 yen per day for access to snorkels, masks and beach umbrellas. And while tourists say the beach is quiet, peaceful and perfect for catching sunsets, most agree that greater Okinawa offers other equally beautiful options at more budget-friendly prices. Taketomi Island is accessible by boat only. 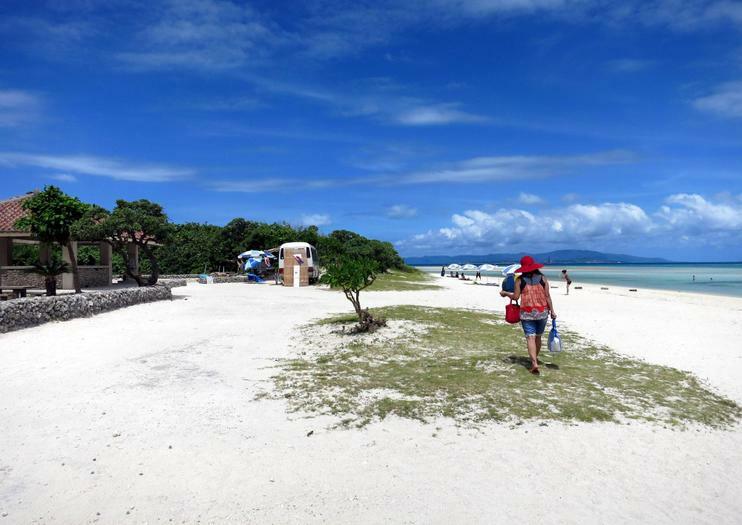 Travelers can catch the Anei Kanko or Yaeyama Kanko ferries from Ishigaki.